Should You Feed “People” Food to Your Pet? You may think you are giving your dog or cat a treat by sharing your food with them, but many “people” foods are actually dangerous for pets, so as a policy, it is best to stick with quality dog and cat food for your furry friends. The most common poisonings for dogs and cats are rodenticides, chocolate, pesticides, plants, pharmaceuticals, glycols and metals. Chocolate is to blame for about one quarter of all poisonings, with pharmaceuticals responsible for about 22% of exposures. Many other people foods can make pets very sick, and some can even cause death. Dogs are accidentally poisoned much more frequently (70-80% of all cases), likely due to their inquisitive nature and their willingness to put things into their mouth. Cats are more particular about what they will eat and account for only about 11-20% of animal poisonings. Here are the top problematic foods. Problems with chocolate are more likely to be seen around specific holidays, such as Valentine’s Day, Easter, Halloween and Christmas. All types of chocolate are very harmful to both cats and dogs. Keep in mind that this includes products that may only contain chocolate, such as baked cookies and brownies, as well as cocoa powder and chocolate candies. 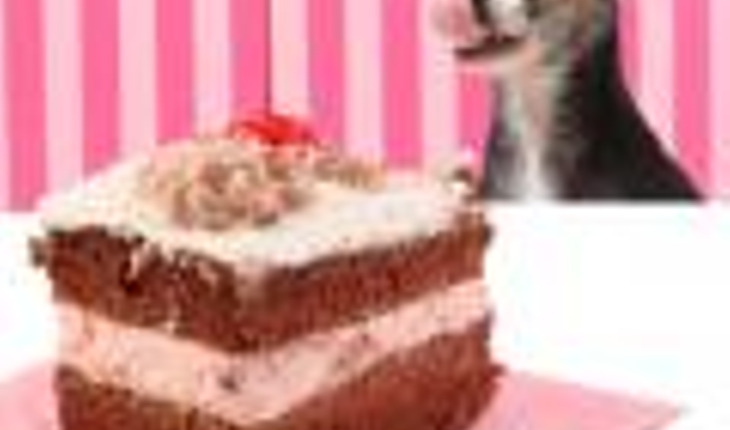 Chocolate contains substances called methylxanthines, and they are quite poisonous to pets. In general, the darker the chocolate, the more dangerous it is as darker chocolate contains more methylxanthines. If eaten by a pet, initial reactions may include vomiting, diarrhea, excessive thirst and urination, hyperactivity, abnormal heart rhythm and muscle tremors. Depending on the type and quantity eaten, the reaction can include seizures and even death. Although vets and scientists don’t know exactly why, grapes and raisins can be very poisonous to most dogs and cats. Some dogs can seemingly eat them without problem, but many develop illness and even life-threatening problems after eating only a few raisins or grapes. Most vets feel the safest course of action is to never feed these foods to pets, period. The symptoms may start within 12 hours of ingestion, and consist of vomiting, diarrhea and/or lethargy. If treatment isn’t started immediately, kidney malfunction may occur; and often, death will occur within three to four days due to kidney failure. Pets are much more sensitive to alcohol effects than humans are. According to WebMD, just 2 teaspoons of whiskey can put a 5 lb. cat into a coma, and another teaspoon would likely kill it. All types of alcoholic beverages, as well as food products containing alcohol, can make pets ill. Symptoms can include vomiting, decreased coordination, diarrhea, difficulty breathing, tremors, coma and death. Alcoholic drinks containing ingredients such as milk and egg are especially appealing to dogs. Alcoholic syrups and elixirs can also be particularly attractive. If you are cultivating hops (popular now with craft beer brewing), hops are very toxic to dogs. All members of the onion family (including garlic, scallions, shallots, etc.) contain compounds that can cause gastrointestinal issues in both dogs and cats, and can also result in red blood cell damage if sufficient quantities are eaten. Cats are more susceptible to the effects, perhaps due to their small size. Onion poisoning is consistently noted in pets that ingest more than 0.5% of their body weight in onions at one time. Due to the taste, pets are unlikely to eat raw garlic or onion in a quantity to cause problems. The larger concern is in other, concentrated forms, or within other food items. Dehydrated forms (such as garlic powder, garlic salt or onion soup mix) can be particularly toxic. Table scraps containing foods covered in onions or garlic, such as left over pizza or other dishes, can be toxic. Even baby foods may contain onion powder, so you really do need to be aware. Affected animals may appear weak, and their urine may be orange or red. A blood transfusion may be required. Raw eggs can cause salmonella or E. coli infection, and also contain an enzyme called avidin that can affect the absorption of the B vitamin, biotin (causing skin problems, especially in cats). Used in candy, gum and baked goods, this sweetener causes a severe drop in blood sugar levels in pets. Initial reactions may include disorientation, vomiting, lethargy and seizures. Liver failure usually follows. Raw bread dough causes problems in two ways; first, the dough expands once in the stomach, which can cause pain as well as kill tissue in the stomach wall (due to lack of blood flow). Second, the yeast actually ferments in the animal’s stomach, resulting in alcohol poisoning. Animals often get distended abdomens with this type of food poisoning, and may have other symptoms tied to alcohol poisoning. Dogs and cats are usually lactose intolerant, so most milk-based products are not good for them and may cause them digestive issues. Avocados and macadamia nuts (toxic to dogs); salty foods; fruit pits (i.e. Peaches are ok, but pits have cyanide in them); coffee/caffeinated drinks; raw liver (in large amounts); canned “people” tuna; and moldy foods can all be toxic. Moldy foods, such as moldy bread or fruits, should not be given to pets. Mold can contain mycotoxins, which can cause life-threatening problems if ingested by dogs. Always know the phone number/location of your local vet and nearest emergency pet clinic. The ASPCA Animal Poison Control Center can also be reached at (888) 426-4435. And perhaps most importantly, be careful what you feed your special furry family member! Diane Blum is a freelance writer. You can reach her atinfo@DianeBlum.com. Please visit http://www.dianeblum.com/and http://obsoletedsoccermom.com/.